I read this book immediately after Shopped, partly because I thought they would complement each other, and partly because it was due out on a ring and I was about to go away for a couple of weeks :) It's true that they do complement each other really well, with this book dealing more with the foods themselves, and the other concentrating on everyone's favourite place to buy them (not), the supermarket. The issues involved are clearly interlinked, and while there were some bits of overlap in terms of stats (and even a couple of spookily similar paragraphs), the books serve as good partners rather than being repetetive. The chapter titles are initially a bit misleading - "Beans" for example deals with the subject of food miles, the dependency of the whole supply chain on oil, and the link to climate change, all kicked off by considering Kenyan green beans. "Bananas" looks at the devastating buying power of supermarkets and how one store's price cuts force lower prices for all growers (this chapter had the most overlap with Shopped). However, as you're unlikely to pick chapters to read from a book like this, I came to see it as an interesting hook, making me wonder what on earth coffee and prawns had to do with each other, and reading on to find out. The style is quite easy to read, and overall rather similar to Shopped, which makes it good for casual readers and those who want to find out more. Each chapter's notes and sources are expanded at the back of the book, there's a section devoted to things readers can do to help (which is very realistic in tone), and a really useful selection of addresses and web links (e.g. finding a food co-op in your area, listings of organic butchers, etc.). This book is a real eye-opener, and should be read by everyone who's ever bought any food (so everyone, really!). Why more noise isn't being made by the general public about the issues, I don't know... maybe this book will raise their profile. Still taking participants, PM me to join! A good read, I knew a lot of this already, but learnt a few new things. Very interesting to read in a weekend when 21 chinese workers were rescued from Morcambe beach - you think that the gangmasters would have learnt from last time, but it seems profit is more important than people. Finshed last week but trying to sort out a new place to live, new job... will post onwards on Tuesday. All my reviews are posted to Alex in Leeds. Posting onto Kuju today, sorry for the delay. Came home today after being away for a couple of weeks to find a couple of bookrays sitting in the heap of mail behind the door! I'm off again tomorrow to the Big apple this time and will read this book on the way. I have 6 hours to kill! 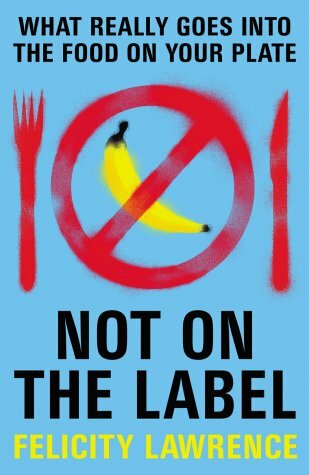 Not on the label was a fantastic insight into the effect that globalisation has on the food we eat. It was definitely an eye opener and I'm now thinking twice about what I eat, especially when I eat chicken! The organic food box mentioned in the book sounds like a fantastic idea and I will definitely look into it. Also, I'm quite pleased about the mention of the lighthouse bakery. It is just down the road from me! So, I will be going there this weekend and enjoying some real bread and I'll be going on a search for the North Street Deli too. I've been trying to get in contact with Battypuss who is next on the list but no reply! I'll try again otherwise I might send it on the the next person. Thanks ermintrude75! Arrived on Saturday, thank you. sorry ... I have kept this way too long. It was interesting but very heavy and rather depressing so I kept interspersing other books! I'm going to move it on now even though I am only half way through. This arrived a while ago, but got buried under a pile of papers. I haven't started it yet. I'll keep an eye out for Shopped too. Will PM YowlYY now for address. Finally this book is here :) I've seen a program on TV with Felicity Lawrence, where she was visiting farms, supermarkets, small shops, interviewing specialists, etc. and that was based on the book, so I am very keen on learning more on the subject. It is currently No.6 on my Mount TBR of rings and rays, so I expect it to move to the next reader some time in February. I hope it's ok! This was an excellent read - well researched, objective, and sadly so true. Being a vegetarian, my main interest was to see what was the story behind the vegetables and supermarkets, and I was shocked to read especially about the exploitation of both people and soil that is being perpetraded in the name of "giving choice" to the customer, not to mention the issue on crops highly sprayed with pesticides and poisons just to give the blamishless appearance supermarkets insist on. Although my personal shopping is about organic vegetables only, I buy huge amounts of salad and greens for my rabbits there, because most of what I give them is not to be obtained in local shops (yes, I know...they're spoiled! LOL). Because I want to change this, I will start growing the salads and veggies for the rabbits in my garden from March on, and spending money on salad of the supermarket only in extreme crisis. I have experimented with organic boxes delivery schemes for the last two years, but most of our organic vegetables were bought at the supermarket, just because it was so convenient to have the food there whenever you wanted it (or almost!). However, delivering them was at times problematic, especially when I was back in London, as I was working for most of the day and having the box delivered at work wasn't practical, as I would have had to carry it on bus back home. I looked into organic farmers markets, but in London they were nowhere near where I used to live. Now, I have discovered in Nottingham the organic farmers markets, taking place three Saturdays out of four in a month, twice in West Bridgford, and I will be buying more there. Also, I found out last Saturday at the market that one of the stands do also deliver their veggies to private homes or to the working place, so I will be using the service when I cannot go to the market when I am away travelling the country. Mostly, I was shocked by the impact that our shopping habits are having on the Third World countries and on the international migration of folks - it is a sad state of affairs that hopefully can be changed if more of us try just a bit to lift off our bum from the comfy sofa we've been resting for so long - not only in order to improve our world, but also for our own health. Thanks so much to ermintrude75 for sharing this book - I ordered two copies of it, and two in Italian: I have kept one in English for my PC, I have sent the other to a friend in Belgium, and out of the two copies in Italian one will be passed on to my family, and the other will be a bookring for the Italian bookcrossers, because even if in Italy we haven't reached the same tragic situation yet, purchasing habits are sadly changing there too, and some big supermarket chains are slowly taking over. I shall pass the book today to droogie at the mini meetup taking place in Beeston at the Bean in approx. two hours. A fascinating read - though it turned me into the lunch buddy from h*ll at work! I have always enjoyed 'real' food and ready meals always taste dodgy - now I know why! Reading this currently and its a quick read. Finished and read (in part) by half a dozen others willingly or otherwise in the office. Sadly main foodbuyer in the house argues on basis of cost and farmers markets and organic - cost more. Still am employing pester power to at least see that stonegrowned bread and trips to local farmer for eggs and the occasional tray of chicken are on the agenda. Its an uphill struggel - but the reality of that struggel is firmly brought home when the book mentions that the oil protesters who barricaded the fuel distribution centres over road and fuel taxes, left the govt with little choice but to break the deadlock as the country was literally running out of bread. Have PM'd next on list for address. Received in the post this morning, thank you. Apologies for taking so long to get around to reading this. A very interesting and disturbing book that has made me think about my food buying. I shall be looking into veg box deliveries as our local farmer's market is only every other month. PMing wyldetwo for her address. This arrived in the post yesterday. Will try to get round to reading it soon. I have only read the first few chapters I have to confess, but my OH (who does most of the shopping chez nous) has read it cover to cover and he "enjoyed" it, if that is the right word. It's certainly made us both think more about what we eat, although being vegetarian and trying to eat a lot of organic and fairtrade food already, I suppose we had already done quite a lot of thinking! Will PM tiggsybabes to get this moving again soon. Christmas got in the way of me reading this. It is now next on my TBR list so I won't be stalling the ring too much longer. Arrived in Nocton, thanks so much. My goodness .. I didn't think I needed my eyes opening much more but boy they are fully open and appalled now. Received from nocton4 and I'm ready to read. Just to set out my starting point, as this seems one of those books which has the potential to effect change: I'm a lacto-ovo-vegetarian with a keen interest in food issues and a young and fussy family (including a non-vegetarian husband) Our current shopping habits are a weekly fruit veg and salad box from the local organic shop and an Ocado/Waitrose delivery every 10 days or so, with top-ups of things which are unavailable or especially expensive from Sainsbury's which is our nearest supermarket and we drive there. My husband, having worked in a local greengrocer as a teenager is adamantly opposed to using them and neither of us find the majority of local shops to provide personal, friendly service with good information about their products - if anything, worse than the supermarkets. We eat a fair few 'meat substitutes' and ready meals due to ill-health compromising my energy levels, but I enjoy cooking when I am up to it. I like to ponder ethical issues and do try to buy with an eye to health and ethics. A quick read as I anticipated. A lot of this is now fairly widespread public knowledge but the book has been out a while. I liked the way the book doesn't just single out The Baddy and presents a more complex picture, pointing out that even the directors of the big supermarkets are under pressure, although some parts of the chain are clearly more powerful and more blameworthy than others. I have long felt that our obsession with cheap food is a big part of the problem. Occasionally when there is discussion of just how much we spend on food I feel embarrassed and extravagant, rather than a prudent investor. However, she shows that it isn't as simple as being prepared to pay more, that the money isn't always going into improved quality or production methods. I was very interested in the section about changes in wheat possibly being responsible for the rise in gluten allergy and intolerance. I find Nigel Slater's Toast a good corrective to the notion that we've never had it so bad in our lifetimes, but there's no doubt from this book that we really do have a lot that is bad and something, many things, need to be done. Off to Cloggy as soon as the address is confirmed. Arrived at my desk safe and sound this morning ---- at the same time as another ring book. Would you believe it. Haven't had any books for months and now I got 7 in 2 weeks. Returned from its travels - thanks everyone! On its way to biba89, by request, to step in on a stalled book ring. It arrived in the mail this morning. Thank you for this step-up! I will continue the ring now, surely there will be more participants. I might reread it first. Het is twee uur in de nacht en ik kan er niet van slapen. Ik heb het nog niet eens uit. "Not on the label" van Felicity Lawrence. Het gaat over onze voeding. Nou probeer ik, zoals meer van jullie, om zoveel mogelijk schoon, dwz biologisch, te eten, zoveel mogelijk producten hier uit de streek, in verband met vervoer en zo, geen Braeburn appels uit Nieuw-Zeeland (no offence Niana), zo min mogelijk bewerkte voedingsmiddelen, al helemaal geen kant-en-klaar maaltijden of in elkaar geknutselde high-tech rommel zoals de kip-nugget. En Max Havelaar, waar mogelijk. "Van boerderij naar fabriek en van opslag naar verpakking, ontdekt ze waarom afval van de rundvlees- en varkensslachterij in kipfilet terechtkomt, waarom één derde van alle appels wordt weggegegooid, en waarom brood vol lucht en water zit. En ze laat zien hoe overgewicht, de op slavernij lijkende omstandigheden voor migrante arbeiders, eindeloze files met vrachtverkeer, verruïneerde akkers in Europa en hongerende boeren in Afrika allemaal verband houden met een handjevol grootwinkelbedrijven, die een niet eerder vertoonde controle hebben over wat we eten en waar we het vandaan halen." Stel je een zandloper voor. Aan de ene brede kant, 160 miljoen Europese consumenten. Aan de andere kant, drie-en-een half miljoen boeren en voedselproducenten, overal ter wereld, die produceren voor de Europese markt. Nou de wespentaille in het midden: 110 inkopers, van alle grote Europese supermarktketens - Ahold, Lidl, Aldi, Carrefour, Sainsbury's en zo nog een paar. Zet een pijltje bij de wespentaille. Een woord bij het pijltje: Macht. Beter gezegd: Almacht. Bijvoorbeeld om de producenten uit te wringen met inkoopprijzen die hem dwingen om onderbetaalde en zwartwerkende illegalen in te huren - voor zo lang als de oogst duurt. Om van een appelboer te eisen dat een bepaald soort appels een 'blozing' - rood op een groene ondergrond - van tussen de 15 en 17 % mag hebben. Daar is een apparaat voor, de "Greefa Intelligent Quality Sorter" die dat meet, per vierkante millimeter, al het anders gebloosde fruit wordt tot pulp vermalen, daar krijgt de boer geen geld voor. Ach, je hebt het allemaal wel gehoord, het geknoei met vlees, de hoeveelheid pesticiden, het gesleep met grondstoffen de wereld over, het verlies van smaak ten gunste van 'shelf life' en zo verder. Ik wist er ook wel van, zelfs meer dan gemiddeld, maar niet eerder zag ik de verbanden tussen het één en het ander zo duidelijk en werd ik zó boos van de voorbeelden en de immense onrechtvaardigheid. Denk nou niet meteen: maar dat wil ik helemaal niet weten, want ik kan er toch niks aan doen - dat kun je wel. Er zijn alternatieven genoeg en God weet dat we het niet redden met 160 miljoen consumenten die het niet willen weten en er gewoon aan mee blijven betalen. Je kunt er ziek van worden. Nog een paar redenen, die ik ook wel zwaarwegend vind: de planeet wordt er ziek van, de mensen die de grondstoffen produceren, worden genaaid waar ze bijstaan en alle winsten gaan naar een paar multinationals. 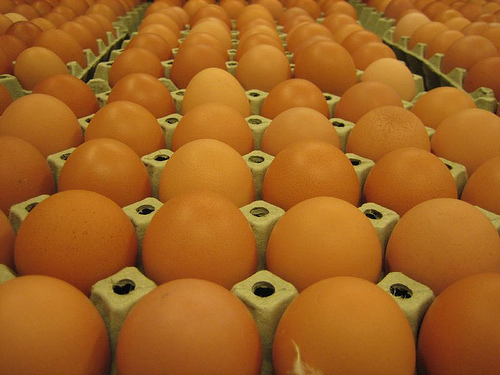 Nou, laat mij dan maar lekker van de boerderij eten en dan wat minder vaak vlees. Dit exemplaar van het boek heb ik geleend, van een niet-crosser, maar misschien mag ik hiervan een ring maken, anders zorg ik zelf voor een exemplaar. En verder? iiwi? dutch-flybaby? Elefteria? nrrdgrrl? Plinius? owlet, als je tijd hebt? Grappig, drie van de recensie-uitspraken zijn zeer van toepassing: "I can't remember when a book made me more angry." "This book doesn't make for a good night's sleep (nee, inderdaad, het is nu kwart voor drie 's nachts) but is compusily readable. It is the sort of book that changes attitudes." "This is a great book that anyone who eats, should read." En daar besluit ik het maar mee. Er vormt zich een ring. En nu heb ik het uit. Vooral het laatste hoofdstuk is zeer inspirerend, want het is niet allemaal ach en wee en wat is het toch verschrikkelijk, maar vooral: en nu is het genoeg geweest. Dit kunnen wij zelf allemaal doen om iets te veranderen. En dan beschrijft ze hoe ze zelf de dingen organiseert met betrekking tot het eten voor haar gezin met drie kinderen, midden in Londen. NOTE: It would be a curtesy to the former readers, to write your journal in English, if possible. Thanks! Het vorige exemplaar is via Olifant, iiwi en gnoe bij uhmm terechtgekomen en daar gebleven. Ik zal de overige ringdeelnemers nog even aanschrijven of ze nog mee willen doen. Dan werk ik deze lijst wel bij. Handed over to nrrdgrrl, the first one on the list. 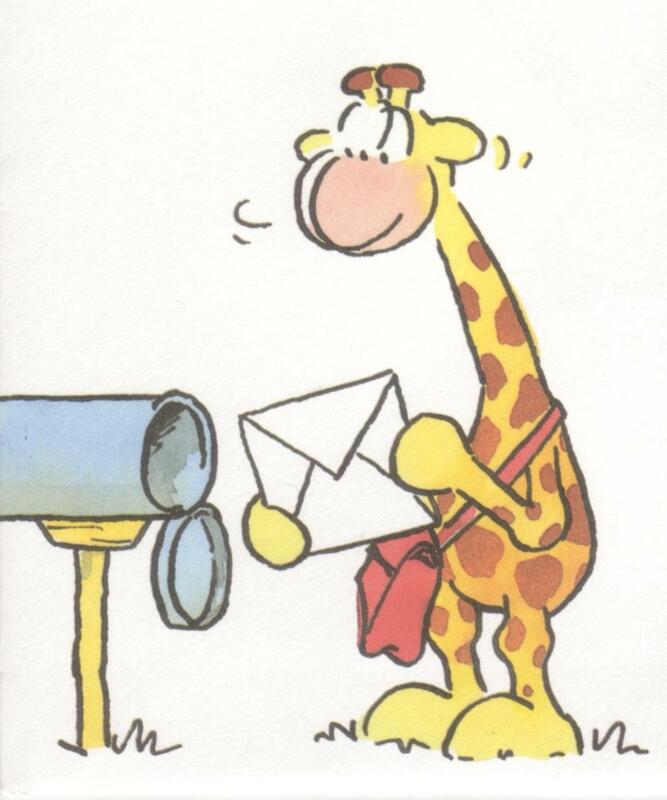 She would read it and send it off before returing to South Africa! many thanks to biba, who brought me this ring book on my holiday address. what service! ever since i moved to south africa i have been wondering whether food processes run differently there. the food tastes much much better... it also costs much much less. which seems to be a consequence of government pricing policy, not of shady subsidies. but who am i to know? maybe i'll find out now. i already know quite a bit about the european food industry so i'm curious to learn new things. after i wrote the previous journal entry i remembered something else about this book. i had bought my own copy, planning to read it and write about that on the ring's page without anyone actually having to send me the book, my being far away from most other bookcrossers. my husband was educated as a food technologist and worked as an institutional chef later. hence he hijacked the book. he took it with on a business trip to the middle east - i think it was dubai but it could have been anywhere in that region. and he left the book. anyway. i did read it now. or, to be more truthful, i read it diagonally. either ms. lawrence is very long-winded or i am very impatient. most likely both of the above. i just couldn't find the patience to follow every sidetrack, however interesting, without a hint of where we were going. it may also have been caused by my previous knowledge. never mind that. it is interesting stuff, it seems well researched, and it must be great as reference material. that is also worth something. edit: haven't managed to get to a post office in the past week, am taking the book home and will send it off from south africa. apologies for not having been able to make the detour to the post office sooner. book is finally on its way to mopperhond and should arrive within two weeks. And indeed ... the book made it from South Africa to Belgium within 2 weeks. I have been away for a few days so it might have been less. Thanks Nrrdgrrl for going to the reliable post office. I also enjoyed the stamps and your African card. Started to read the book so hopefully it will travel on soon. It took me some time to finish this book; it is no chicklit after all. I would agree with Nrrrdgrrl: interesting, sometimes shocking but a bit long-winding. Also because of the details on British politics of 5 years ago which are not so interesting to the foreign reader. I knew about the chicken nuggets, having once seen a program on that topic on BBC television. What I did not know is how labour is being organized in order to provide the supermarkets with the food they want. Last week I was in my local supermarkets and noticed tomatoes announced as "smaaktomaten" (taste tomatoes) and apples as being extra tasty as well. Apparently taste does matter for the consumer. And yes, of course they were more expensive than other tomatoes and apples. Anyway, I am happy to have had the chance to read this book finally after the previous one got lost somewhere. I'll PM Janna2 for her address. Vandaag binnengekregen, het gaat nog even op de stapel. Biba bedankt voor het ringen en Mopperhond voor het versturen! Because of the illness of my mother and all the time this takes I still did not read this book. Fiction is o.k. at the moment, non-fiction is more difficult to concentrate on. Tomorrow I will take this book to the Castricum-meeting en give it to the following reader (dutch-flybabe). Perhaps it is possible to warn me when the ring is almost finished? Received on the meeting yesterday. It'll have to wait for a bit on the ringbook-pile. 8-8-2009: boek uit. PM naar Emmeken omdat ze in Nijmegen woont en ik daar volgende week toch moet zijn. The first chapter of this book is ok, it's actually about the food itself. Of the 40 or so pages of chapter 2 only 8 are about food the rest is about politics/economics surrounding the production of food. Unfortunately the rest of the book was mostly not about food itself either. Although this is a bad situation for people all around and it's important to inform people about this, that situation could have been told in many less pages and I was disappointed that the book was not more about the food itself. Handdelivered at Emmeken's this morning :-) Happy reading! Received the book yesterday. Thanks, Dutch-flybabe! I'll start reading in this one after finishing my current ring-book. Hmmm, I'm getting a bit depressed reading this book. I knew questionable things were happening in the food chain, but this is just 225 pages of bad news :-( Well, I'd better start looking for the nearest bakery!! Thanks for ringing this book, biba89. I'll pm the next one. EDIT: Jehanne wants to be skipped, so the book will be send to Granuaile tomorrow. On its way to the next reader. Enjoy! thanks Emmeken! this book was on my wish list for so long. so my expectations are up. not sure if that is a good thing though! haha. thank you ermintrude for letting the Dutchies get on with this thread too! :D dankjewel. Ooh oh. This has been on my bookshelf for way too long! It's time to move on. Did I read it? Yes. All of it? No. But I did read parts and chapters. Interesting stuff. But as we live in 2011: the info in the book is not new anymore. Still, if you are not familiar with how your food is treated, or how the people who deal with your food are treated: then this is a must read! I did contact the next reader up. Will move this book within the next few weeks. I did not catch this book, I was the one who made it into a ring. Apparently it was stalled for some years. I am thrilled to see it moving again, thanks! Not many books have touched me like this one did and I often turned to my bookshelf to look something up, only to discover that it was gone. I am looking forward to receive it again some day. And yes, I could have gone and buy another copy, but that is not the point of bookcrossing, now is it? In my mailbox today, it's next on mount to be read! This book is well written, an it kept my attention. It could have used some more white lines, though, for there were many long stretches of text. I'd almost given up hope of this ever getting to me, so I'm really glad it got moving again because it's a subject that really interests me. I consider myself pretty well informed on many of the issues covered in this book, but it still managed to give me more food for thought. The strength of the book is the synthesis of the full global impact of globalisation and industrialisation of the food we eat, and the impact is has on society, communities, economies, the environment, diet and our freedom of choice. Basically, we're doomed, and there's not a lot we can do about it! All we can do is try to make the best choices we can, buy local / organic / Fairtrade as much as possible in local shops (if they still exist) or farmers' markets, grow our own fruit and vegetables if we can and cook from scratch whenever possible. Voting with our feet and supporting campaigns for more accountability and better nutrition are also good steps. Many things shocked me in this book, but one thing which stuck out as absolutely crazy was the example of the lettuce imported to the UK from California! Also the fact that organic chickens, whilst reared more naturally and humanely, are subsequently killed in the same plants as industrial chickens. I am beginning to think my vegan friends may be right. Living in the Netherlands, I think that the situation is slightly better here than in the UK, as town centres still contain bakers, greengrocers and fishmongers, although the butchers are becoming few and far between. Many people shop daily, and cycle to get there, so local supermarkets are common in housing estates, usually franchised from regional or national chains, so they still perform a function as a community meeting place. 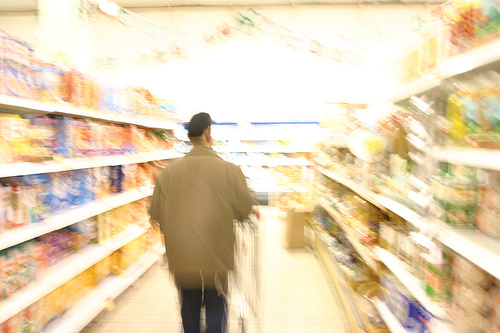 There are larger supermarkets, but the out-of-town hypermarket common in the UK is not common at all. The ready meal is also less prevalent here, although plenty of people cook using packets of spices. As a side note, it always amuses me that if you ask a Dutch person what they're planning to cook, they will tell you the vegetable, not the meat, as would be the case in England; I'd like to think that is because they value the vegetables more highly, but it may be because everyone knows what the accompaniment will be if you tell them you're eating red cabbage or cauliflower. The concept of "food deserts" is quite shocking, and I like the idea of cooperative projects being set up to solve the problem at a grass-roots level. Equally, despite the fact that supermarkets in the UK now carry 20,000 lines (instead of 8,000 previously), the consumer's choice is being limited to what the food industry can make the most money on: "What we are allowed to purchase, from the type of music to the variety of tomato or brand of beer, is being determined by buyers operating in the supermarkets' interests rather than the consumers'." (p.153) That supermarkets can blackmail suppliers and manufacturers into paying them for shelf space and advertising beggars belief. Equally, foods are broken down into their constituent pieces, adulterated with chemicals, then reassembled into something that resembles a recognisable food in such a way that the consumer, even if he reads the label, cannot decide if the product will feed him or harm him in the long term. I've long been suspicious that the fat that's removed from some products to make them low fat, must be being reused somewhere else in a disguised form. One of the things which I wasn't so aware of was the social impact of the global market, both in the UK and in developing countries. I hadn't realised that British sugar was subsidised and dumped, undercutting cane sugar producers in the tropics, and that the supermarkets have such a stranglehold on farmers in developing countries, as well as those in the EU. Just-in-time systems are all very well for factories producing consumer goods (although the children kept waiting for the latest Nintendo console at Christmas may not agree), but the same system for food can be disastrous. It seems unimaginable that so many migrant workers around Europe (as well as elsewhere) are allowed to live in such squalor, without rights, and more often than not illegally, at a time when governments all seem to want to cut down on immigration. This book is absolutely essential reading, and I also recommend 'Fat Land: How Americans Became the Fattest People in the World' by Greg Critser, which goes deeper into the scandalous subsidies paid to palm oil producers in Malaysia, and the insiduous addition of palm oil and high fructose corn syrup into almost everything we eat and drink. It is another eye-opening book. ETA: Elefteria wil het niet meer lezen. PM naar rroos op 15 aug.
Rroos is no longer active (what a shame! ), so I've finally sent the book on to the next on the list, Barbje. - Reduce Mount TBR (To Be Read) - read and release books on the TBR list since before June 2010. My reading goal is 75 books. - Pages Read Challenge - read a self-set target number of pages in 2011. My goal is 25,000. Sorry! Ik wilde gaan schrijven wat MrBarbje van het boek vond, en toen zag ik dat ik het nooit als aangekomen gemeld heb! Excuus daarvoor, is nogal slordig en respectloos. Weet wel hoe het kwam: het boek kwam binnen, MrBarbje zei 'oh interessant' (zoals voorspeld) en het boek verdween naar zijn nachtkastje. Anyway, hij heeft het niet uitgelezen, vond het wel interessant maar wat langdradig na een tijdje. Ik heb de samenvatting gekregen, en het boek mag weer verder reizen! Ik ga Alexandra pm'men. Maak releasenotes als het op de post gaat. Thanks for sending it en ringing it! Will be back soon with a review.